We all have had some scary experiences at some point in our lives, some of which are real and some are just hallucinations and imagination of certain people. A real scary experience for someone might just be a legend or creepy pasta for someone else. One story that is quickly gaining popularity in media is that of slender man. Slender man is a tall being with no facial features and a black suit and tie. It is said to be mostly found in dark forests at night. Slender man is believed to be originated on the internet but there is no denying it has a real life presence in different forms. People have been telling creepy pastas of seeing a man with no face since a long time. 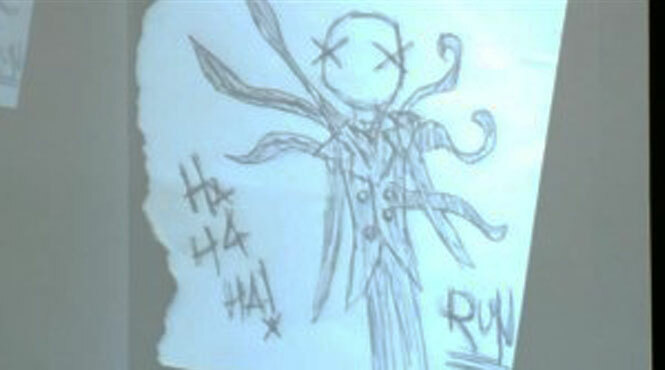 Even though it originated as a fictional supernatural being on the internet in 2009 but a lot of people have said that they have had experiences with slender man even before that time, they just didn’t know what to call him, so it might be quite possible that slender man just got a name in 2009 and it might be present amongst us since a long time. Slender man is called different names in different languages so there is no denying that it might be present in old times with different names. There have been reports of slender man all over the world. One of the oldest sightings of slender man is believed to be in the 1600s in Germany. It is one of the most mysterious and talked about creatures online. Slender man provokes fear in a lot of people. People who claim to have seen slender man slowly indulge in to madness. According to the legend slender man’s most common victims are children. An incident in 2014 showed that the legend might be real. In early 2014s two twelve year old girls Morgan and Bella stabbed one of their friends nineteen times as a sacrifice to slender man. The girls were completely frightened and exhibited mental illness .During treatment one of the girls said the words, “Slender Man is watching” to the doctors. It is believed that the girls came across slender man on the internet but then started to have hallucinations of him after that. According to the story of slender man it can control people’s mind and eventually those people act as proxies for him, same as these girls did. The incident made slender man believers more affirm about its real life presence. It might or might not be real but there is no argument that slender man slowly indulges everyone who is obsessed with it into total chaos. Even if slender man is not a real monster, there is no denying that it can provoke the monster inside of you. If a person thinks he has seen slender man, he gets paranoid and starts to see hallucinations of slender man in everything. This is called slender sickness. What we believe to be mental illness in case of Bella and Morgan might actually be called as slender sickness by the people who believe in slender man’s existence. A few cognitive scientists believe that the images of slender man and the folklore attached to it are the reasons that cause people to think that it is real. This completely manipulates their minds into thinking that slender man is real but in real it’s everyone’s own choice to believe if he is real or not, and if he is real then in what form. What do you guys think, is it real or is it just someone’s imagination?